Brenda Robinson Lambert, 74 of Flintstone, went home to be with the Lord on Friday, November 2, 2018. 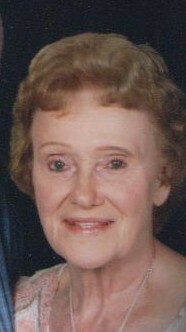 She was a native of Louisville, Tennessee and had lived in Flintstone for the past 55 years. Brenda was retired from the Walker County Board of Education having worked in the school cafeteria at Chattanooga Valley High School and Middle School. She was an active member of the Chattanooga Valley Baptist Church and her passions in life were God, Church, family, cooking, gardening, canning from her garden, and working with her flowers. She was preceded in death by her parents, McGee and Beulah Robinson; and brother, Bud Robinson. Survivors include her husband of 55 years, Harold Lambert; Son, Jeff (Tammi) Lambert; daughter, Cheryl (Eddie) Lyons; grandchildren, Jessica (Joe), Bethany, Brittany, Tiffany, and Caleb; sister, Betty (Alvin) Hord. In lieu of flowers, contributions may be made to Chattanooga Valley Baptist Church Building Fund, 90 Nick- a- Jack Lane, Flintstone, GA 30725. Funeral services will be held on Monday, November 5, 2018 at 2:00 p.m. in the South Crest Chapel with Reverend Bryan Carroll and Reverend Carl Miller officiating. Burial will follow in the Chattanooga Valley Baptist Church Cemetery. The family will receive friends on Monday from 12 – 2p.m. at the South Crest Chapel of Lane Funeral Home and Crematory, at the end of historic Missionary Ridge, Rossville.